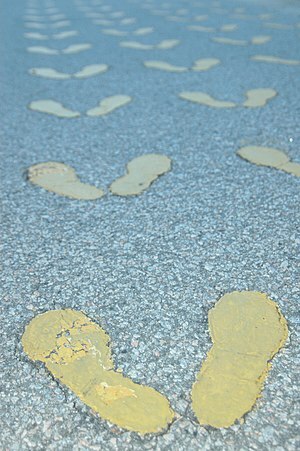 On September 20, 1963, a day which lives in memory, I started boot camp. I boarded a flight in Houston bound for Marine Corps Recruit Depot, San Diego. With me were Privates Danny L. Palermo and Kelso Bennett. Danny was a rodeo cowboy and Kelso a waiter. I was a newspaper reporter. We had all three enlisted, for some reason, in the Marine Corps Reserve. Our enlistments obligated us to six months of active duty for training followed by five-and-a-half years of drills in a reserve unit, subject to mobilization by the President. This was the peacetime Marine Corps. President Kennedy crowned the chain of command. Vietnam was two years in the future. For the previous month or two, we had spent weekends at the reserve unit marching around the drill field (known as the grinder). Marine units shared armories with the Navy. Marines form part of the Naval Service. The Houston armories for all services, now demolished, sat along Old Spanish Trail near the Medical Center. A young corporal instructed us in the rudiments of close-order drill. We marched around behind the building in civilian clothes. civilians knew nothing except by reputation. Today, with the movie Full Metal Jacket and in the era of You Tube, videos of drill instructors screaming at recruits fill the air. Not then. The DI seems to have become more theatrical for the cameras. (“DI,” by the way, is slang forbidden to the recruit; you say “drill instructor.”) In the 50s and 60s, they were serious and deadly. Although the regulations forbade the DI to touch a recruit except to adjust his clothing, they were known to adjust with their fists. We feared them. Today’s DI seems to be acting a part. On the plane, we contemplated our future in silence. The plane descended into San Diego. It surprised me to see the Recruit Depot across a chain-link fence right next to the airport runway. The plane landed late in the afternoon. On our descent down the ramp, a Marine sergeant took charge and conveyed us to a small olive-drab truck with a cover on the back. Get in, he said. He had no small talk, no welcome to the Corps. He drove off the airport runway onto U. S. Highway 101 and around into the entrance to the Depot. I remember driving past uniformed recruits as they worked on the grounds around the entry. We did not chatter with one another. The truck pulled up to a long yellow building named Receiving Barracks (Marine colors are red and gold, hence the buildings at San Diego are gold with red trim. At Parris Island, they are red with gold trim). Flanking the entrance sit two small Japanese cannon captured at Iwo Jima. The building – built in the 1920s and designed by the New York architects Cram, Goodhue & Ferguson – faced a long driveway onto which the truck backed. The driver stopped, walked around to the back, jerked down the gate, and ordered us out to stand at attention on a set of yellow footprints painted on the driveway. We waited while other recruits arrived and filled up more footprints. Then another corporal or sergeant marched us into Receiving Barracks. The yelling began. We double-timed through room after room, collecting what used to be called the bucket issue (they use sacks now). Each recruit received a bucket and loaded it with soap, towels, toothpaste, toothbrushes, shaving gear, underwear, two yellow sweatshirts with Eagle, Globe & Anchor on the front, thick black socks, high-topped tennis shoes, red athletic shorts, and anything else the Marine Corps had decided we would need. The Corps did not issue pajamas. You slept in white undershirts and boxer shorts (known as skivvy shirts and skivvy drawers). One pair of skivvy drawers has lasted all 50 years, along with a few other items of uniforms and equipment. The bucket (scrub-brush included) stayed with us throughout boot camp. We were to use the bucket to launder clothing by hand. We spent Saturday afternoons the first few weeks at concrete wash racks washing our own uniforms. In the platoon’s rifle hut and on the company street, we turned the buckets upside down and sat on them to clean our rifles, shine equipment, or write letters. The Marine Corps did not provide chairs in the squad bays. Somewhere during the evening, we received a Marine-Corps haircut. The barbers simply shaved all the hair off with electric clippers. Notice my haircut. Regulation hair-length was an eighth of an inch. The issue hat was known as a cover. Since the DIs allowed no recruit outside uncovered, i. e., without a hat, our faces below the cover soon turned brown, but the tops of our heads remained white. The Marine Corps did not issue sunscreen. After a night of the bucket issue, the troop leaders marched our new-formed platoon upstairs to a long squad bay with polished linoleum floors. On each side stood rows of bunk beds. We crawled in for sleep. I thought I had survived the worst. I had no idea. This great information & what a great story!!!!!!! I hope there’s more coming! You were a great looking recruit! You’re kind, Danny, but I was in a state of shock the entire first month. Semper Fi. Semper fi indeed! More please! Your post has captivated my interest, and I can’t wait to read what happened next! Just now getting to this blog, and looking forward to reading more about your experience as a Marine. Hopefully over Christmas, I’ll get to read the previous posts. Thanks for sharing, Bill, and Happy Thanksgiving to you and Molly!